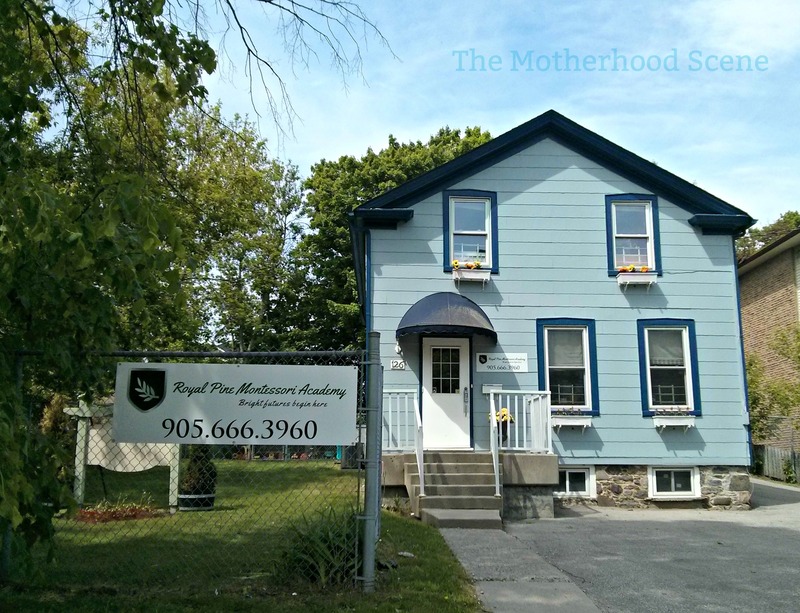 Royal Pine Montessori Academy is new to Durham so a quick search for reviews won’t yield much. Open since September last year, this gorgeous facility operating out of downtown Whitby is one that I’m sure will build a good name for itself. If you find yourself falling somewhere between loving the day care centre model but preferring the look of a home daycare environment, this option could be for you. At Royal Pine what stood out for me was the staff. After meeting Jamar for my tour, I can understand why one of the parents followed him from his last workplace to here – he’s one of the few childcare professionals I’ve met with a truly vibrant energy and passion for education. In any tour, it’s important to ask any burning What-if questions to get staff out of tour mode and get a sense for how they handle issues day to day. In most cases, the answers most centres provide are the same. What I look for is the way staff answer to learn more about their personalities. At Royal Pine, I asked what would happen to my child if I had a GO Train delay that caused me to be late. Jamar was nothing less than professional when he explained that many of the parents he worked for have been in similar situations and in those cases, he makes do. No hesitation in his response, no guilt trip, no long-winded warning about arriving late in unforeseen circumstances – only professionalism, understanding and a promise that my child would be cared for regardless of the situation. The facility is every bit as historic and homely inside as it is, outside. The backyard is lush and green, covered in grass with lots of shade from mature trees. The toddler room is located on the main floor of the building and is connected to a kitchen where lunches will be prepared, on site. I say – will be – as the toddler program has not yet opened. Royal Pine is accepting applications and plans to begin this program within the next few months or earlier, based on demand. Accepting children from 18 months to 6 years. Toddler program fees start at $675 for part time care (3 days, 9am-3.30pm) and start at $950 for full time care (5 days, 9am-3.30pm). French, Gym and Music programs included.